Freshwater / Great Lakes boat since new this vessel features Twin OMC "Marine Power" 460 300-hp Gas Inboard Engine's (port Engine 800-hours, starboard engine 10-hours.) 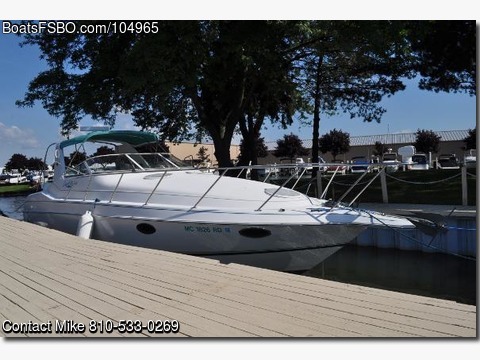 Notable features include but are not limited to the following: Air-Conditioning & Heat, Head (Manual Flush) w/Vanity/Sink/Shower, Windlass Anchor, Pioneer Sound System, Cockpit Mooring Cover, 30-AMP Dockside Shorepower w/Cord, Swim Platform w/Boarding Ladder, and MUCH more! Call Mike @ 810-533-0269 with any questions..